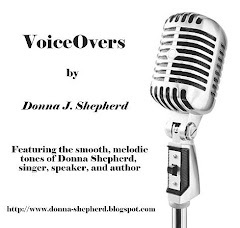 Donna J. Shepherd, Children's and Inspirational Writer reviews books, eBooks, music, and more. Something different for your consideration. Do you have recipes all over the place - on scraps of paper, in files on your computer, scattered throughout your email? I'm so excited to present a program to help you get organized - an easy to use software that makes finding and storing recipes simple, capturing recipes, and then putting them into files. I'm looking especially forward to using the app to make finding recipes and accessing them in the kitchen or the grocery that much easier! What do other bloggers think? Introducing NOOKcolor(TM) with Wi-Fi for just $249 plus Free Shipping - Pre Order Today! Many of the products reviewed on this blog were provided to me at no cost. I receive no compensation and the reviews and opinions expressed on this blog are my own. Receipt of a product does not mean an automatic endorsement or positive review. Coloring pages & hidden picture puzzles for young and old alike! Click on pic.